Issue Description: The only national publication geared specifically to college and university career services professionals. Overview: Publisher Peter Vogt reviews LMLL and offers his supportive recommendation to readers. Description: Blogging is hot-hot-hot as the web’s newest form of news distribution. One of the hottest in the blog world is Blogger News with more than half a million hits per day. See what reporter Zach Freeman has to say about LMLL……. Description: Proving once again that it’s never too late to learn something new, editor Peter Vogt shares his powerful book review among the hundreds of career development professionals who are members of this statewide association. Issue Description: This nationally recognized high school newspaper is geared specifically to students and the community supporting Shawnee Mission East High School in Prairie Village, Kansas. Overview: Student blogger Vanessa Daves reviews Lunchmeat & Life Lessons and offers support to readers. Description: I was so excited and honored to join Sarah Montgomery Belleauon on her Pretty Simple Sarah podcast! A lot of what I talk about is making meaningful connections and I’m so grateful to have connected with Sarah! Check out my podcast on iTunes and then take a listen to Sarah’s other great interviews. Description: Kansas City is known across the country as an outstanding BBQ town. And though everyone likes their own version of sweet, spicy or smoky BBQ sauces, one key ingredient is never in dispute: BBQ requires meat…….Bichelmeyer Meats! See what CBS News has to say about our family’s meat market in this digital version of their nationally televised news show! Description: Anchor Joel Nichols engages Mary in some of her book’s favorite stories and shared moments with her father. Description: News anchor Nick Vasos chats with Mary about her memoir…..and her upcoming appearance benefiting the American Heart Association. 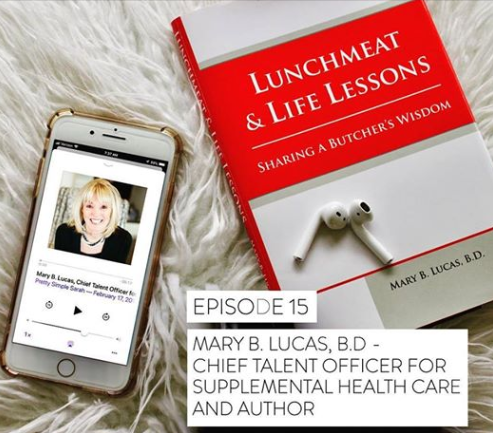 Description: Listen as Mary chats about her new book, “Lunchmeat & Life Lessons” with Kansas City radio host, Jay Liebenguth. Description: This morning show in the Quad Cities area was really enjoyable. This city welcomed me warmly during my summer book tour and came out in droves to the local Border’s bookstore. Listen in! Description: More than 100 Kansas City Kansas Community College staff members were treated to life skills and lifetime lessons in an inspirational hour-long Staff Senate program presented by Mary. Description: Mary was asked to write an article for the Fielding Graduate University Newsletter. As a graduate of Fielding’s Evidence Based Coaching Certification Program she shares her views on the value of a coaching approach in a corporate setting. 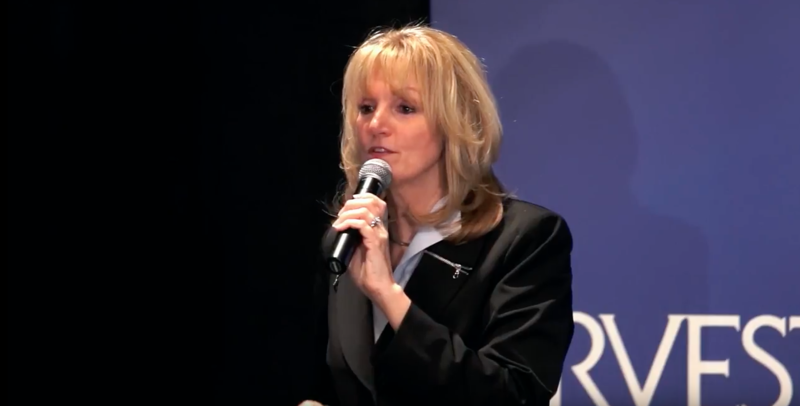 Description: Mary’s presentation to the World Employment Conference in London drew high praise from the global staffing community, and was featured as the cover article in this prestigious industry magazine. Description: This slick, four color magazine does a great job of keeping women connected. In this two page feature, writer Ann Butenas and photographer Kami Brady do an amazing job of connecting my father’s wisdom with their readers. Description: The Business Editor of this major market newspaper asked us to submit a guest column to inspire Kansas City readers. It even included my byline! Click below to read the digital version. Description: This college town just 40 minutes outside KC interviewed me for their daily newspaper. Once this was published, the story took off like a Kansas prairie fire and was picked up in about a dozen other small towns across the state! (R-MO) during this national industry forum. Talent has been a long time advocate for farmers, ranchers and the meat processing industry — a leading voice for Butcher’s across the country. Bichelmeyer Meats was voted best taco in Kansas according to Orbitz!